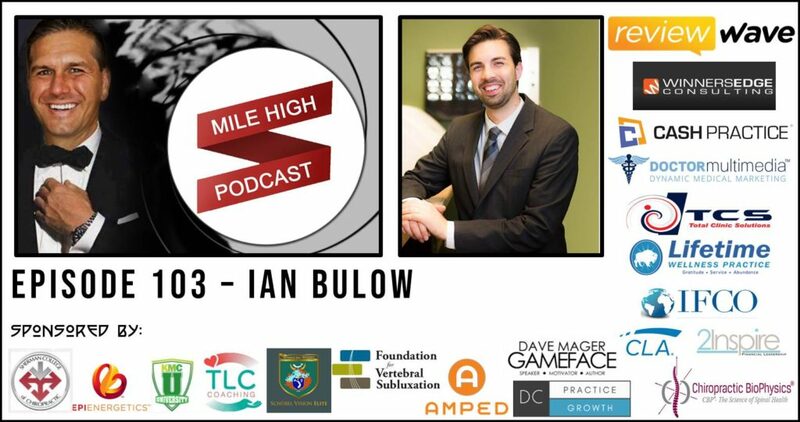 Dr. Ian Bulow feels that how you do one thing is how you do everything. So, he’s focused on precision, integrity, and truth through chiropractic, because he feels that always wins out. Dr. Ian Bulow graduated with honors from Palmer College of Chiropractic, graduated at the top of his class and received the Outstanding Graduate Award. While in school, he focused on upper cervical using the Blair Technique. Now he is a member of Board of Directors at Palmer. Since graduating, he has run a successful, impactful practice in Cranberry, Pennsylvania. Join him, and other upper cervical practitioners, at the Denver Upper Cervical Conference June 6-8. Enjoy this episode and be sure to subscribe to future episodes.